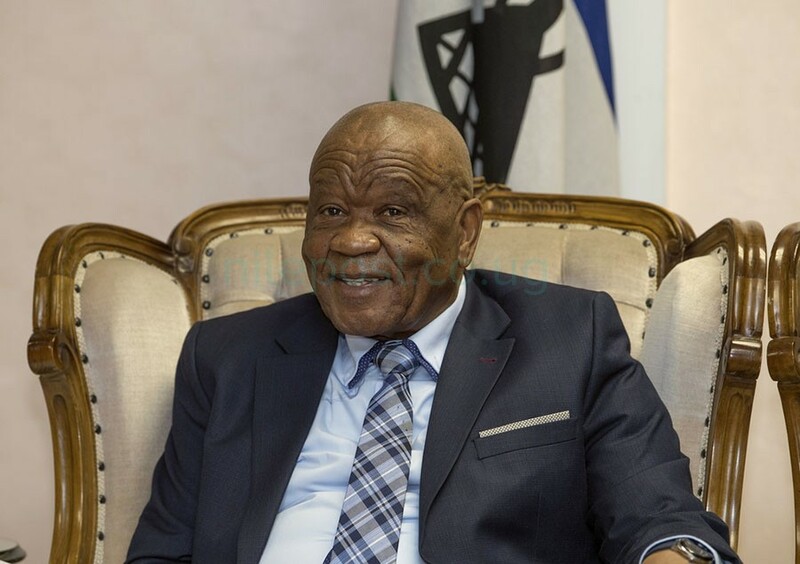 The upcoming summit of the Forum on ChinaAfrica Cooperation (FOCAC) is a clear demonstration of China’scommitmentto the development and welfare of the African continent, Prime Minister of Lesotho,Thomas Motsoahae Thabane has said. The summit is a landmark in the world aiming to improve itself for the survival of the human race which faces multiple challenges today, Thabane told Xinhua during an interview on Wednesday. The summit, scheduled forSept4to5th, is also another clear testimony of China’s commitment to the welfare of Africa and its development, Thabane said. “The commitment is not only to specific countries in Africa, but in Africa in general,” Thabane added. “What more can you wish for from a friend than to stretch a hand of friendship in order to raise you up when you were flat on your stomach?” he said. The two nations have made steady progress in bilateral economic and trade cooperation. Since Jan. 1, 2005, China has granted dutyfree treatment to some of the goods imported from Lesotho. In 2017, the trade volume between China and Lesotho was 86 million U.S. dollars, with a year-on-year increase of 15.9 percent. Of which the Chinese export volume was 61 million dollars and the import volume was $25 million. China mainly exports textile and electromechanical products to Lesotho, and imports mohair, jewellery and precious metals. “Our relations have been mutual beneficial. (For) countries that we have dealt with before from the West, the benefit was always for what they call ‘the mother country’. Now China is not like that, that is why we feel like we have a true and loyal friend in China,” said the prime minister. Thabane noted the growing cooperation between China and Lesotho which has seen the two working closely at the United Nations (UN) and other international forums in the past years. China takes a very strong stand to support Lesotho in the UN, and Lesotho will also raise voices for China when it needs, the prime minister said. The prime minister commended China’s economic reform which transformed the country’s economy to allow better trading. “Protectionism does not give results, results are realised where the economy is free,” Thabane said addinghis country welcomes China’s commitment to an open world economy, which is a good lesson for other developing countries. “We have to acknowledge that and remember that China has its own wishes and issues and it will need supportof friends. I’m pledging openly that when China counts its friends, it should include Lesotho,” he stated.